Code Red tournaments are always full of surprises and extremely competitive. Yet, no one expected that an Apex Legends record would be broken. But to surprise the world, three players took the spotlight. During one of the matches of the competition, the team consisting of tevDesertuk, Fyzu, and Wrugb, in total made 46 kills. They broke the previous record of 41 kills made on PC. TevDesertuk, as Wraith, took out 20 enemies, while Fyzu eliminated 16 taking advantage of the skills of the new Octane legend. Wrugb, who opted for Bangalore, knocked out 10 opponents. No team has ever made such a record in Apex Legends! The three boys, immediately after the victory, rushed to celebrate on Reddit. They shared a short clip from the final moments of the game. Many readers, didn’t believe and thought that it was a scam. Soon after the Reddit post they also published the entire match on YouTube. This is a great achievement for the team in the early days of the competition. Its tournaments and records like these that pave the way for the competitive structure of the title. Respawn has yet to announce official competitions. Until then these tournaments will surely keep the community satisfied. If you are curious, you can watch the match and clips on Reddit as well as on YouTube. These plays might motivate you and your friend to beat this record in the future. 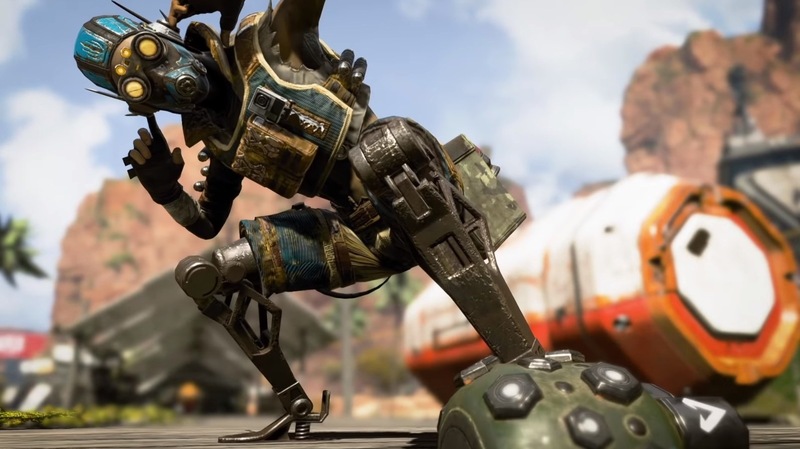 Speaking of Future, we could see some mythical creatures in Apex Legends. In the leaks, a flying mount, more or less resembling Dragons, could soon join the Kings Canyon. Datamined a few days ago, we can also see the mythical creatures in the season 1 trailer. Who does not dream of flying through the Kings Canyon on the back of Dragon? Respawn could go in this direction by incorporating these legendary creatures into its Battle Royale. With the arrival of season 1, Apex Legend used a trailer to announce all of its new products. In the video, we can see a horde of Dragons, revolving around a package. In addition to being dataminated a few days ago, the appearance of dragons is nonetheless a guess. It’s hard to imagine players riding these animals. Nevertheless, it is likely that they serve as a “stepping stone” when using balloons. It seems that they will be there to allow players to go further during their flight by riding them for a few seconds. This will allow players to make faster and better rotations across the map. As usual, this is a leak and Respawn has yet to announce it. It is possible that these Dragons might never come into play. Yet, everything seems to show that we might be seeing them before the end of season 1. What do you think? What is the best result you have achieved together with your trusted companions? Will you love to ride Dragons in the Kings Canyon? Or do you think they are a big no? Let us know in the comments!